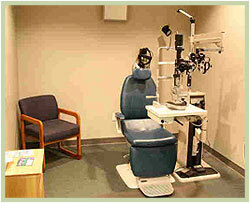 Since 1994, Dr. Dietlein has been providing comprehensive eye care in Georgetown. Together with Dr. Evans, we continue to offer a wide spectrum of eye care services in our office, including medical and surgical management of eye diseases, routine vision exams, contact lens fitting and eyeglass dispensing. Dr. Dietlein performs small incision “no stitch” cataract surgery for his cataract patients. We also offer a variety of the newer technology intraocular lenses for our cataract patients to consider, including the ReStor multifocal, the Alcon astigmatism correcting implant and the Acrysof aspheric lens implant. 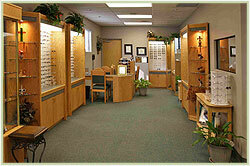 Janet Gonzales, our board certified optician, manages our optical shop located within the office. Janet has been an optician for eight years and has been with Dietlein Optical Boutique serving our patients, since our opening in 2005. We are extremely pleased and proud to have Janet as our optical manager at the Dietlein Optical Boutique. We feel our prices are competitive with other optical shops in the area, and we carry a large selection of high quality frames from which to choose. Janet and her staff are able to provide our patients with outstanding quality and service before and after the sale. We offer contact lens fittings of all types in our office. Dietlein Eye Center has a large selection of trial contact lenses available in the office for trial fittings. The trial contact lens fitting process is the only way to determine which contact lenses are best for you. We also offer contact lenses for astigmatism correction. As well, we have colored contact lenses of various types available for those patients interested in enhancing their eye color. We have an Argon Laser available in our office. This laser is used to treat certain forms of retinal disorders, which include diabetic retinopathy, retinal holes, and retinal tears. The laser may also be used to treat various types of glaucoma to help lower the eye pressure when needed. We have a YAG laser available in our office. The Yag laser is used principally to make an opening in the capsule behind an implanted intraocular lens that was placed at the time of cataract surgery. The capsule on which the implant is placed is clear at the time of surgery but may later become cloudy like a frosted windowpane. This laser can make an opening with a painless procedure known as a capsulotomy. 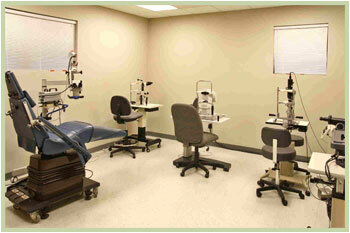 Dietlein Eye Center is proud to offer visual field testing with the Humphrey automated visual field machine. This device decreases the time required to take the field examination and therefore allows a better experience for the patient. The computerized visual field device is critical in following glaucoma patients but is also used for the evaluation of a variety of other conditions as well.